Espresso yourself with our unique 2” Select Classic Room Darkening Fabric Horizontals. 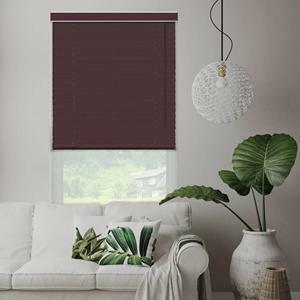 In a variety of satisfyingly rich colors, these patented knit fabric window coverings are a modern alternative to classic wood or faux wood horizontal window treatments. 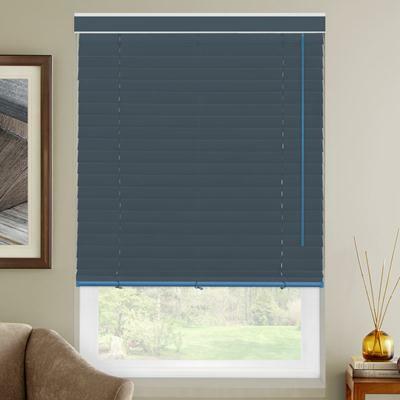 Protect your privacy and dress your windows in style with this energy-efficient product that deftly blocks incoming light to darken rooms while absorbing heat, cold, even sound, for more comfortable, cool looking environments. Try them in bedrooms and home offices where you need to reduce glare. They’re super safe and practical for nurseries and children’s rooms, too. 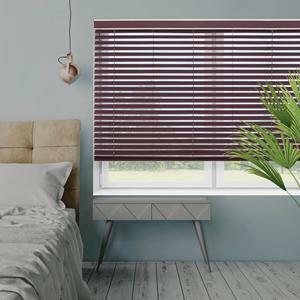 Energy efficient and easy to clean, no matter how much little fingers bend and pull on them, the flame-retardant elastic slats spring back without kinking, cracking, or wrinkling. For optimum safety, order them with the optional cordless lift so you have no visible cords to worry about wee ones or pets getting caught in. Sample these fade-resistant, easy-care customizable window coverings in all the colors you want. 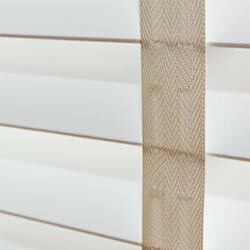 And don’t forget to order the optional cloth accent tapes to create your very own one-of-a-kind window design! Optional 2 on 1 headrail recommended for widths over 84” due to weight of product. Inside mount width: ½” deduction taken at factory. You do not need to factor this in when measuring. Hold down brackets available upon request. Tilt cords not available with cordless lift system. Cordless lift comes standard with tilt wand. I was a bit cavalier and ordered this for my large bedroom window without seeing a sample first. They arrived within days to my pleasant surprise. 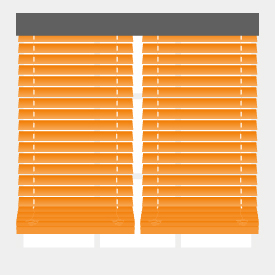 As soon as I removed the blinds from the box, I was really excited to install them - they looked beautiful even in the box! 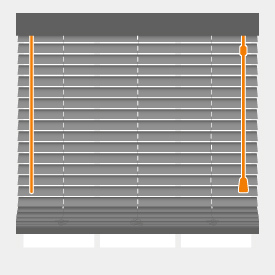 The instructions were straightforward, and while I am a bit handy myself, I was able to install the brackets and hang the blinds by myself (and this is for a window over 90" wide!). They slide ever so slightly from side to side, probably due to my measurements, but are still well within the brackets - I will just add a little shim to each side to fix that. They are gorgeous! The fabric is beautiful, and I love the coordinating valence cover. I'm sad that I cannot post pictures to this review, because I want to show them off! The colors are true to what I viewed online. While they are not "black-out" grade, they certainly darken the room considerably. I was going to place my order online, but I had questions regarding how they were to be installed, since I had a few tricky windows. I called and received wonderful service. They answered all of my questions, and I placed my order with them over the phone. It was a great experience, and I will be ordering from them again in the future!